Join the CIC Team and Get Involved! Would you like to join an Outstanding Team of People that will help YOU reach your goals? Would you love some GREAT EXPERIENCE for your resume? Or would you just LOVE some EXTRA MONEY and Make Money with Cheerleading? We are now taking applications for 2 CIC teams: the CIC Content Team and the CIC Financial Independence Team. If you would like to be considered for our teams, just fill out the below application and we will get back with you within 48 hours. 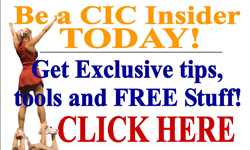 Thank you for your interest in joining CIC and we look forward to working with you! 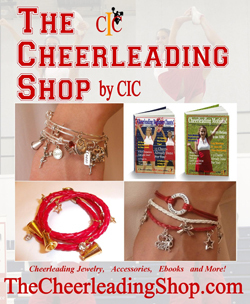 CIC Content Team: If you are a College Cheerleader or Outstanding Coach, we are looking for you! We are adding outstanding contributors to our editorial team to help us provide great cheerleading content and tips! If you would love to get published and contribute to the cheerleading community, we would love to hear from you! 1. We will give you a CIC Discount Code for your customers where they can save money off their CIC purchases. 2. Share your specific code on your social media and with your teammates. 3. When people make their purchases with Your Code - YOU MAKE MONEY! Please tell us about your Cheerleading Background and why you would like to join the above CIC teams. If you would like to add a Cheer photo or headshot, please do it here. Thank You! Thank you for your interest in our CIC Teams! We will review your information and we will get back with you in 48 hours.